If you’re reading this, you have a problem. A wireless problem. Your wireless simply doesn’t cut it. Your router is on the wrong side of the house, repeaters don’t work, things are always buffering, you have multiple wireless networks to pick from. It’s just not good. 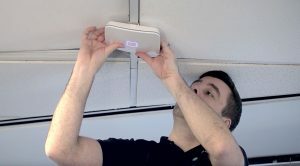 More and more people find it is now necessary to have full wireless coverage in their homes and businesses to fuel the internet connection many devices in our daily lives now demand. For residential customers it could be Smart TVs, whole home SONOS systems, video game consoles, phones, tablets, and of course computers – and that’s just INSIDE the house. Outside, we now need wireless coverage for Ring doorbells, wireless security cameras, and smart garage door and irrigation controls – and the list of smart, Wi-Fi connected devices just keeps growing! For business customers, you need similar coverage, but mainly for computers and printers where wired connections are unavailable, and for employee smart devices. Regardless of your need, Praetas has the solution. We install high-power, commercial grade, hard-wired mesh access points throughout the indoor and outdoor area that needs wireless coverage. 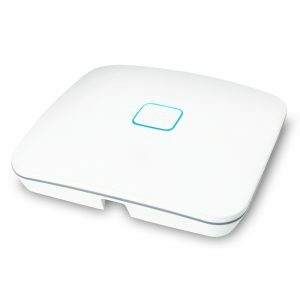 The advantage is several fold – one wireless network that broadcasts throughout your entire property that detects the supported band on your device and automatically offers a 2.4GHz or 5.0GHz connection, eliminating the need for multiple networks to choose from. Because our access points are “mesh”, the access points are aware of each other and hand connections off to one another as users and their devices move around, throughout the space. Our mesh access points are also cloud-configured and controlled, and can send alerts when they don’t detect internet connection, triggering us to contact you about a possible outage or problem! Our preferred APs offer up to 4 unique SSIDs (wireless network names), including Guest Network options. For businesses, you can sell connectivity to sub-tenants with vouchers, throttle bandwidth and total number of connected devices, and even have your own, branded login/landing page. If your home or business needs reliable wireless internet that just works, call us today for a free in-home or on-site analysis with one of our top techs. You can reach our office at 561-223-2177 to schedule your appointment today!